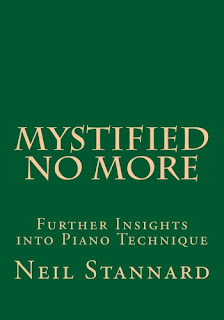 Offered now for the first time on DVD are the mini-lessons, the technique demonstrations heretofore available only on YouTube. Some of my readers have asked for such a thing, but the production cost and logistics have until now proven close to insurmountable. 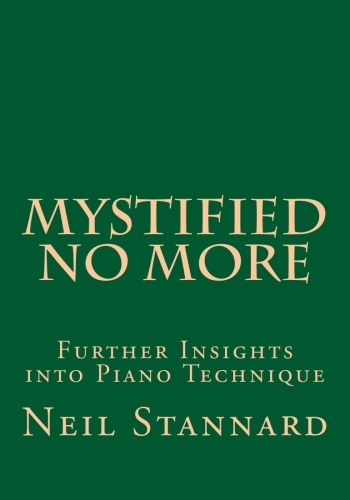 This no frills collection of technical illustrations gets right to the point of each of the indicated musical examples in the book, Mystified No More: Further Insights into Piano Technique. Watch the entire 69 minutes through, or skip around by chapters. Finally, a resource to hold in your hand and store for future use. No more dependence on the fragility of the internet. And who knows how long the YouTube account—or, for that matter, this blog account—will be active. The DVD is available at CreateSpace now, and soon it will be available at Amazon. 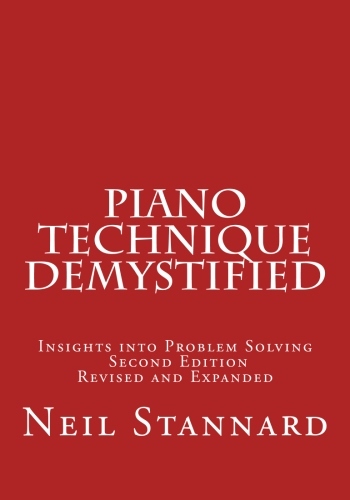 A similar DVD presenting iDemos from Piano Technique Demystified: Insights Into Problem Solving is in the works. This DVD will include several "bonus" demos, including items from Chapter 30, "Fifty Teaching Moments."